Just Jingle: It's New and It's Awesome! Have you heard about the new Spellbinders® Sapphire machine? It is currently exclusively available through Joann Stores and when you see the price, you are going to be a *wee tad bit* excited. For reals, though. This is a fabulous smaller machine and there is also a great line of blue dies to go with it! YAY! This week some of the Spellbinders® designers and partners are participating in a blog hop AND you have a chance to win a Sapphire! Seriously. It's the cutest thing ever and you need one. I promise. Click on THIS LINK to find out how to enter to win! In the meantime, I am sharing a card today that I created using some of the fabulous new Sapphire dies! For this card I pulled out the Basic Squares, Basic Rectangles, and the Mini Hearts die sets. Why, yes, I do happen to be in love with these dies. Like, SUPER DUPER in love, dude. Save the date. For reals, though. I cut the shapes in several colors before adhering them randomly onto my card. I made sure to emboss each piece (because Spellbinders® dies are MADE to cut and emboss and they rock like that) to add extra visual texture to the design. I absolutely LOVE how this one turned out. For reals. 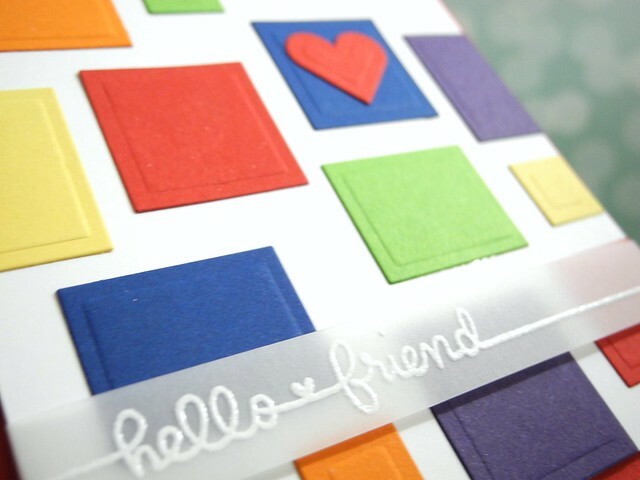 Be sure to head on over to the Spellbinders® Blog to enter to win and to check out the blog hop! oh my good ness, this is SO awesome! LOVE this Jennifer! 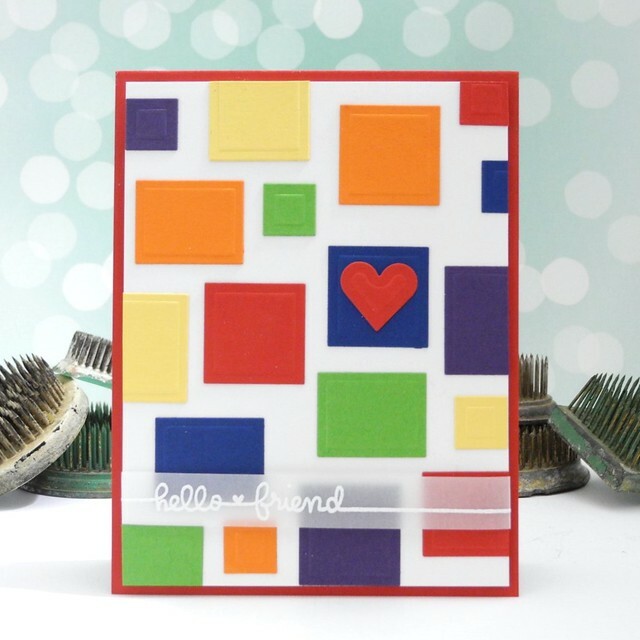 Super cute and colorful card! Very curious about the spellbinders sapphire machine, I'll definitely have to check it out!